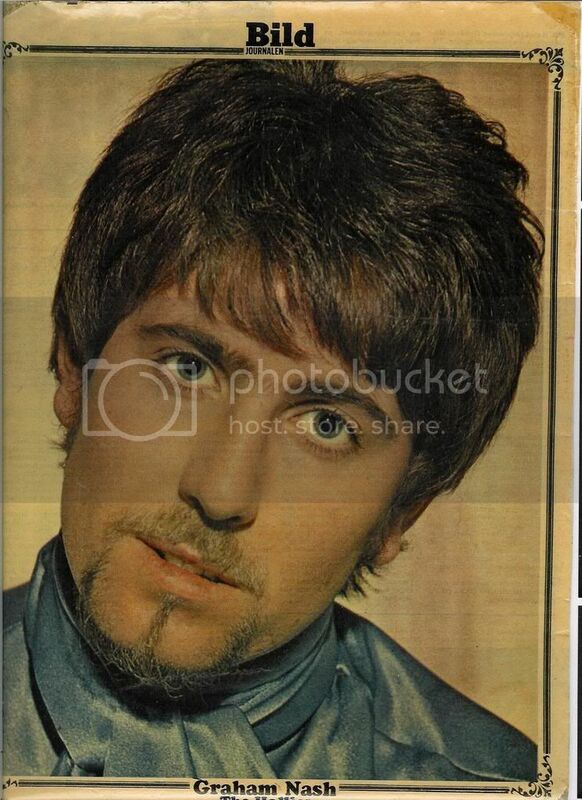 Here are the other pictures from Bild Journalen 1967. 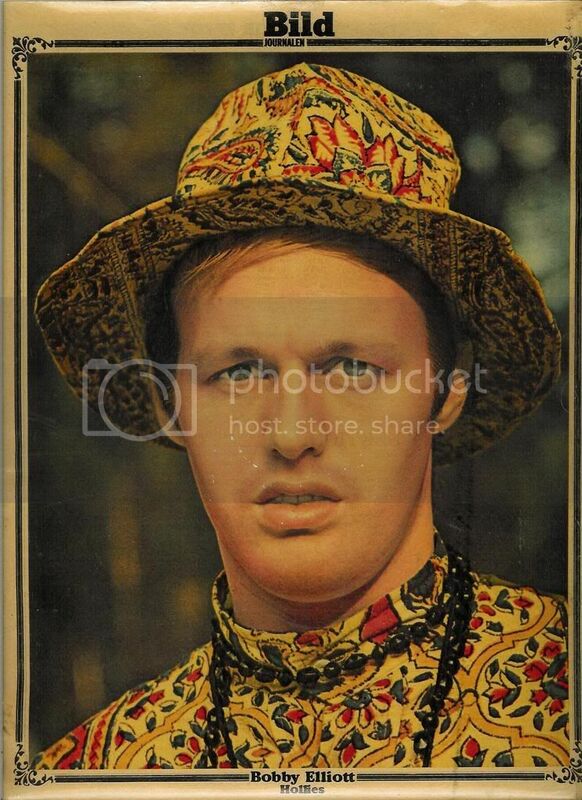 I think that the photo of Bernie is especially good, but the one of Graham is not bad either! Great photos, Bobby sure looks like a flower power child, Graham look moody and Bernie has a wonderul smile. That's definitely the best photo of Bernie I've ever seen And the others are fab as well. Thank you, Agneta! Thanks, Agneta! I love these photos! Bernie has the most beautiful smile, next to Allan, of course! Graham looks so adorable and angelic, and Bobby looks all decked out for a psychadelic journey! Thanks again for posting these treasures! 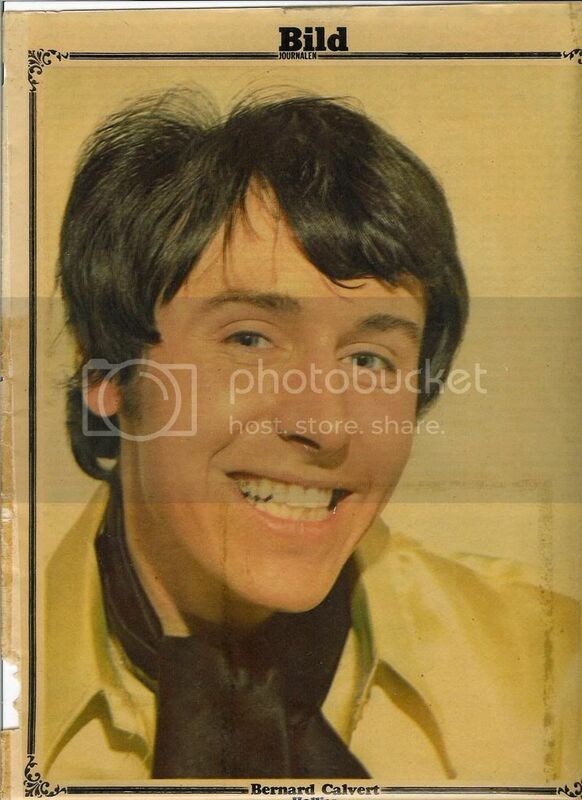 Truly beautiful pics .They have to be the best set of Hollies pics I have seen. Imagine seeing these as a loved up teenager in 1967. How did the whole world not fall at their feet and worship these guys??????????? I'm glad you liked the pictures! Yes, they are good, aren't they?! I had all five of them on my bedroom door when I was 13; no wonder I fell in love with the Hollies! What a sweet memory! The first photo I ever saw of these guys was the cover of "Stay With the Hollies," and I stayed with them ever since! On more in the line of Thanks! Wonderful pictures! Bildjournalen must have had a very professional photographer! Great photos, Agneta, I used to have all my walls covered with pop photos way back then, in the early 60's. In the later 60's I hung up the Hollies album covers. What a good time.